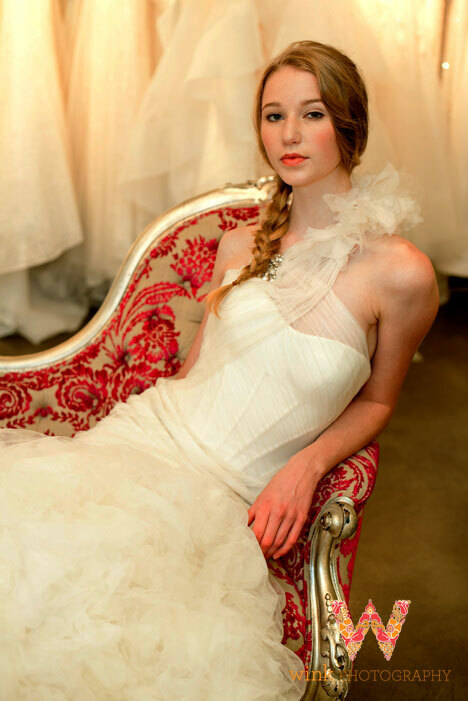 bride.ca | Vera Wang Spring 2013 : A Sneak Peak! 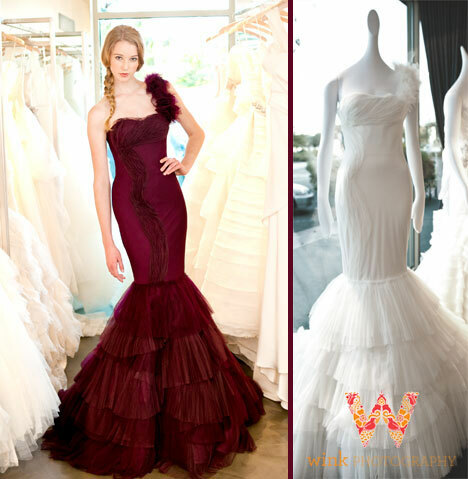 Do you love Vera Wang's designs? You can't get enough of her edgy bridal couture? 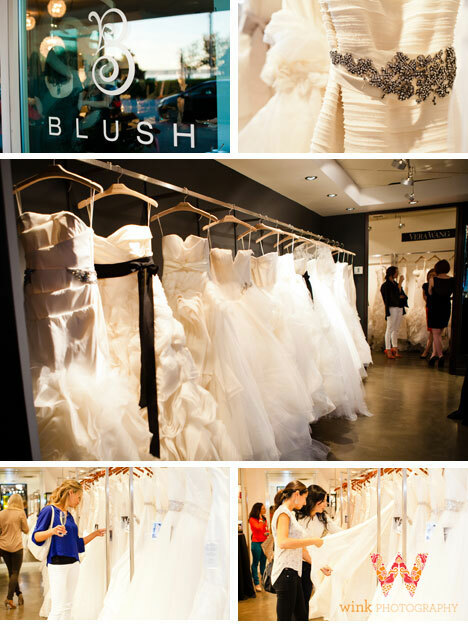 Well, last week at Vera Wang's only Canadian "shop within a shop" location, Blush Bridal of West Vancouver BC, brides were dazzled by Vera Wang's first Canadian preview of the spring 2013 bridal collection. Vera Wang's bridal gowns are always stunning and they always push the boundaries of bridal fashion. Last year, she wowed the wedding world with a series of black wedding dresses while this year, she built on the impact of the black collection with a series of bold red hues. Red is the traditional wedding colour in China. It symbolizes prosperity, joy and love. 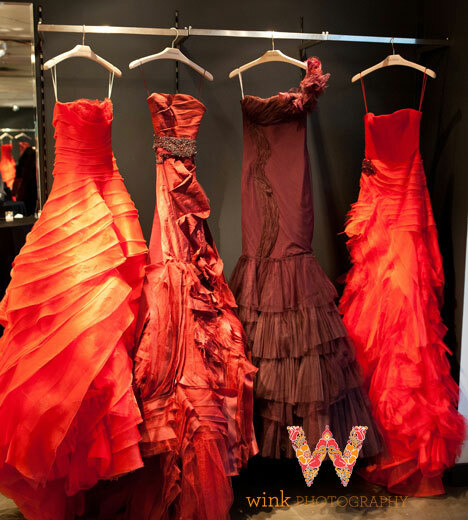 Since the Vera Wang brand is entering Asia this year, the monochromatic collection of red gowns is both timely and well suited. Vera Wang's spring 2013 bridal line, "Mei Meng", or beautiful dreams in Chinese is a perfect name for this collection. This show stopping line of gowns offers signature Vera details throughout all the dresses, like dramatic rose-tulled skirts, décolletage overlays and asymmetrical tiers that end in a skirt full of folds. 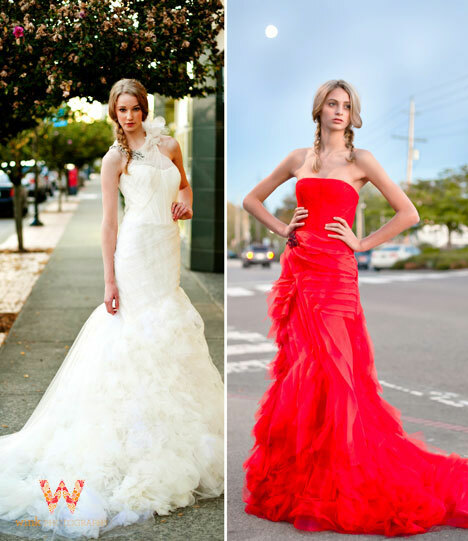 Not loving the idea of a red wedding gown? Not to worry, all the gowns in the Spring 2013 collection are also available in white or ivory. 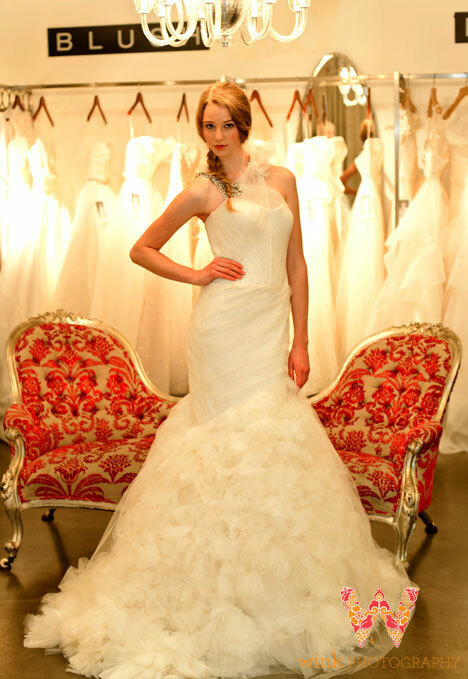 The Canadian "sneak peak" of Vera Wang's spring 2013 bridal collection was a huge success. With drinks and appies in hand, brides were able to delight in these stunning new gowns while Vera Wang's representative, Ashley, from New York was there to offer her expertise on the new collection. And, as always, the fabulous staff of Blush Bridal prepared a wonderful evening of fashion and fun for everyone. Thank-you! 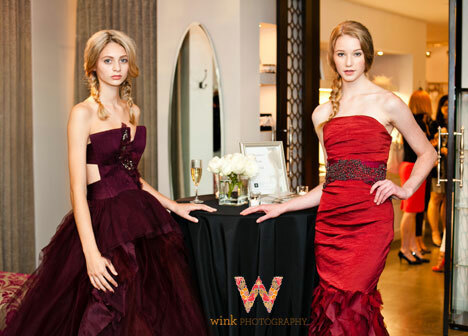 And our special thanks to Jana from Wink Photography, for capturing this great event with her lens!